South African children are getting fatter and sadly it’s not innocuous, ‘puppy fat’ or something they’ll easily ‘grow out of’, no, it’s the type of weight gain that can mess up their lives if left unchecked. This increase in body fat percentage in the bodies of our future generations, is leading to a state of low-grade, systemic inflammation that wreaks havoc with their hormones and brains, negatively affecting their ability to learn and catapulting them into early puberty. Can you imagine the psychological trauma experienced by a female child at the onset of her menses when she is still too young to comprehend the physical and emotional changes taking place in her body? Recent reports have found that “13% of South African children are overweight or obese which is more than double the global average of 5%,” and that the number of obese youngsters doubled in just six years when it took over 12 years to occur in the United States. I really hate to compare the state of our young democracy with that of more developed nations like the USA, as there could be many reasons and valid explanations that could account for this obesity doubling effect, but I fear we may miss the overarching message if we get bogged down in arguing over the details. We must face the facts: more and more of our children are being diagnosed as obese, and that will never be a good thing! This should be of particular concern due to the likelihood that obese children can become obese adults(this is in part due to an increase in fat cells produced in childhood) and logically speaking, obese adults are more likely to produce or rear obese children. I’m aware that this may seem overly simplistic but sometimes we have to look for simplicity within complexity in order to understand a highly nuanced topic such as this. According to a study in the International Journal of Epidemiology, “South Africa is undergoing rapid socioeconomic and demographic changes that have triggered a rapid nutrition transition.”. The same rings true for many other African countries. Nutritional transitions can be described as changes in the consumption of animal fats and proteins as well as carbohydrates and in the study referenced above, these changes are reported as an increase in the consumption of non-organic, feedlot animal fats and proteins as well as refined, processed carbohydrates and added sugar. It can also be described as a total increase in calorie intake which is not compensated for through energy expenditure thus promoting a total energy surplus. To simplify this: in order to maintain a certain weight, energy in should equal energy out and thus in order to lose weight, energy out should be greater than energy in. The report states that our children are consuming too many calories for the energy they’re expending. However, if malnutrition is a crisis is our country, how is it possible that childhood obesity is an issue too? Well, this is where this highly nuanced subject of nutrition becomes do darn tricky! When the pursuit of health is to reach optimal (not just adequate) nutritional levels, the current reductionist, nutritional model, used by the South African Department of Health, falls hopelessly short of being effective because the reality is that a calorie is not just a calorie. International and local research is showing us that it’s the way in which calories influence the cells, tissues and systems in the human body that becomes more important. You see, nutrients in food are chemicals and the messages and information they communicate in the body appear to be getting lost in translation. This can be understood as one man’s meat is another man’s poison. The global increase in obesity, metabolic diseases and other related chronic conditions has been fueled by a number of factors with rapid, global, urbanization and economic growth standing out as key issues that contribute to drastic changes in living environments and impact lifestyle and diet. These changes have resulted in a decrease in opportunities for energy expenditure and a promotion of opportunities for energy intake. People – and children – are moving less and eating more and even when they are moving, the quality of movement is deteriorating and when they are eating, the quality of nutrition is questionable. Sitting is the new smoking – Dr. James Levine, director of the Mayo Clinic-Arizona State University Obesity Solutions Initiative and inventor of the treadmill desk. lack of proper nutrition, caused by a) not having enough to eat [quantity], b) not eating enough of the right things, [quality] and/or or c) being unable to use the food that one does eat [food security and safety]. In addition, the Department of Basic Education’s website contains no annual report on the programme beyond 2013/2014, with reports existing from 2007-2014, perhaps indicating that the programme no longer exists. Furthermore, according the Statistics SA Key Indicator Report 2016, data shows that “27% of children under 5 are considered short for their age or stunted and 10% are severely stunted” as a result of chronic malnutrition. This, juxtaposed with an International Journal of Epidemiology study which indicates a rapid rise in obesity in ages 6-25 within South Africa, particularly between the ages of 8-10 begs the question – what on earth in going on? From birth to 5 years old, in the formative years of the child’s life, where almost 90% of the child’s brain will be developed and where optimal nutrition is crucial, our children’s development is stunted due to points a) & b) of the malnutrition definition: not eating enough and not eating enough of the right things. 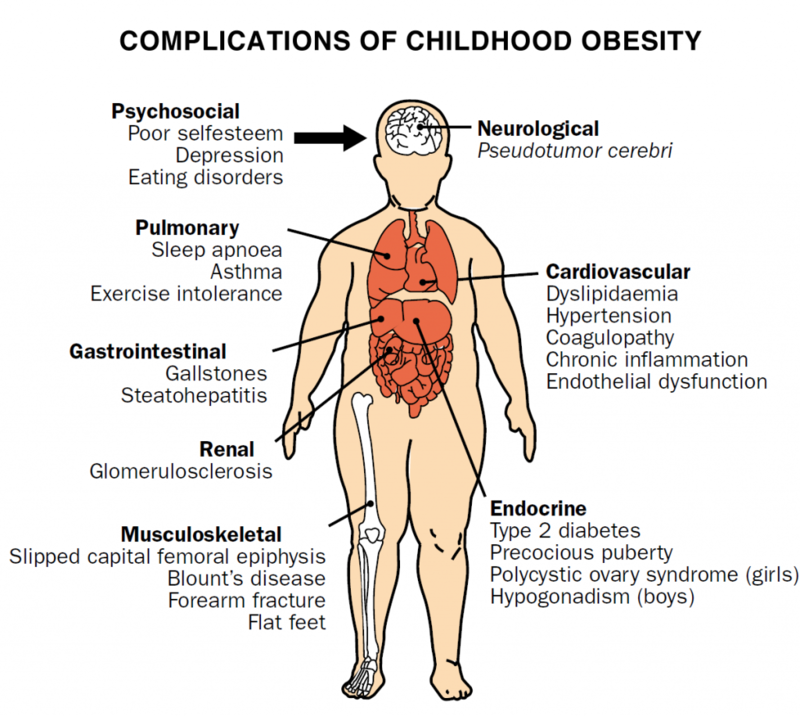 And then, from ages 8-25 (the prefrontal cortex or rational part of a teenager’s brain isn’t fully developed until about age 25) throughout other crucial physiological and psychosocial developmental years, our children, teenagers and young adults are becoming obese! 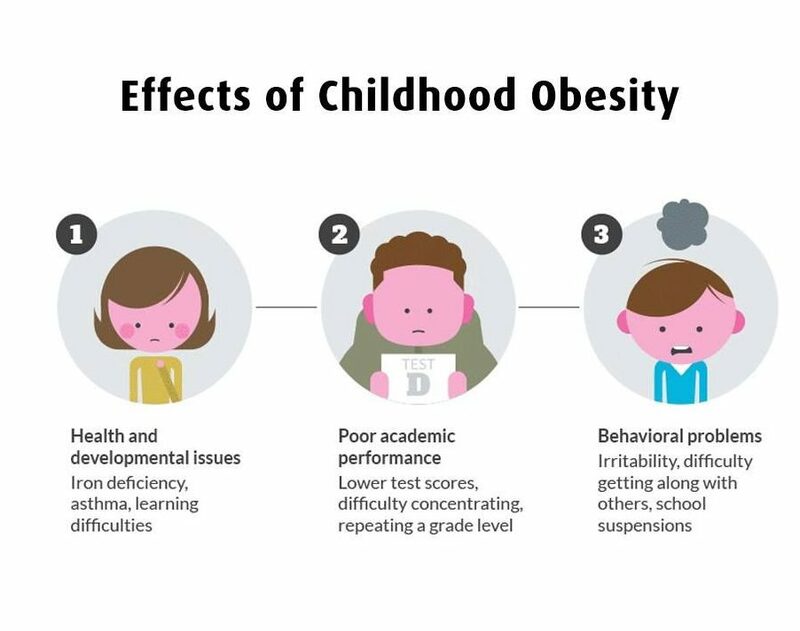 The consequences of childhood and adolescent obesity include type 2 diabetes, the above-mentioned early onset of puberty and menarche in girls, an increase in metabolic syndrome and obesity in adulthood. These risks are also correlated with the development of adult cancers and cardiovascular disease. Learning and development in children and young adults is thus directly and adversely impacted by what they eat however, merely feeding a child is no longer good enough, optimal nutrition is required to optimally feed the brains and rapidly developing bodies of these youngsters. So, it turns out that definition b) of malnutrition (not eating enough of the right things) directly impacts definition c) being unable to use the food that one does eat and is linked to the development of obesity. Many an expert interprets definition c) being unable to use the food that one does eat, in the context of food security and safety, however some disagree and through my work, studies and personal experience in health and nutrition over the last five years, I agree wholeheartedly and echo their sentiments: you are only as healthy as what you can absorb. While malnutrition is thought to affect people in developing countries, studies are painting a different picture, according to the Global Alliance for Improved Nutrition, “no African country is expected to reach the UN target of ending childhood malnutrition by 2030. In fact, malnutrition indicators remain “persistently high” in 14 countries, stretching across from Sahel from Senegal in the west to Eritrea in the east”. Having enough to eat (meeting requirement a) equates to basic nutrition; eating enough of the right things (meeting requirement b) equates to adequate nutrition but to be able to effectively use the food we eat to become healthy we need to strive towards an expanded definition, which includes the attainment of optimal nutrition and the promotion of good digestive health. Optimal Nutrition: A diet free of Toxic Foods That Supplies Optimal Levels of All Beneficial Nutrients – The American Nutrition Association. I have been challenged with chronic skin, hormonal and metabolic conditions like eczema, hypothyroidism and depression since a young age; my younger brother has had severe acne and eczema since he was young and we have both been on months-long cortisone, antibiotic and antihistamine treatment; my younger sister was diagnosed with epilepsy before her first birthday, which severely impacted her cognitive development and functioning and in an effort to control her intractable (not easily treated) epileptic seizures, she has been on highly toxic, anti-convulsants for most of her 30 years on this earth, facing side effects that range from extreme weight and mood fluctuations to severe allergic reactions, physical and brain trauma. My mother has fought cancer twice – cervical and colon cancers, having received her last round of chemo for the latter, five years ago. She still struggles with chemo-induced neuropathy (imagine having pins and needs 24/7/365 for over three years) and cortisone-induced weight-gain of over five sizes. Two years ago, my dad suffered a major heart attack aged 59, which resulted in his admission into ICU for over 3 weeks. The documented side effects of his chronic cardiovascular medication include muscle cramps, depression and fatigue. In an effort to wean myself and my family members off toxic chronic medication without regression into poor health, I searched for a complimentary or alternative solution and came across the functional medicine approach which focuses on systems biology and specifically how the various groups of organs within the body influence each other’s functioning. The integrative medicine approach looks beyond symptoms to the root causes of disease. For example, the health of an individual’s skin can provide some insight into the health of their cardiovascular system because the inner lining of the skin is comprised of the same epithelial tissue of the inner lining of the digestive tract and blood vessels, thus conditions like chronic eczema are symptoms of an underlying inflammatory response and can serve as a warning sign of other potential chronic heart and blood vessel conditions. 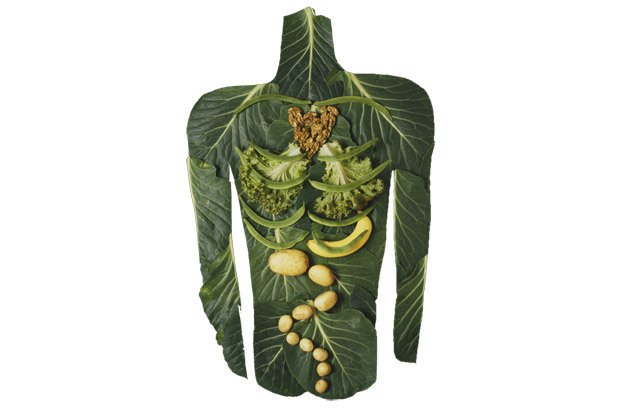 The most profound example of this system’s view of the body is the role the digestive system or gut plays in overall health, immunity, hormone regulation, cognitive functioning and mental wellbeing. More and more studies are showing that the integrity and functioning of the digestive system can be directly linked to the functioning of the brain, known at the gut-brain axis. In fact, the gut is now commonly referred to as the second brain and is coincidentally a very similar shape and size of the brain. For the past five years I have read books and studied this gut-connection through attending seminars, workshops and various courses around the topic and even the latest research which suggests that the health of eyes can be linked to the health and functioning of our digestive tract. Ninety percent of the serotonin in our body (the neurotransmitter or chemical responsible for mood regulation, digestion, sleep and even bone density) is found in the brain but produced in the gut! In addition, the digestive tract houses millions of colonies of microbes which, when in harmony, carry out a number of vital functions such as producing vital substances, vitamins and micronutrients such as the b vitamins, vitamin K2. It is said that Mother Nature gave us all we need for times of food scarcity. 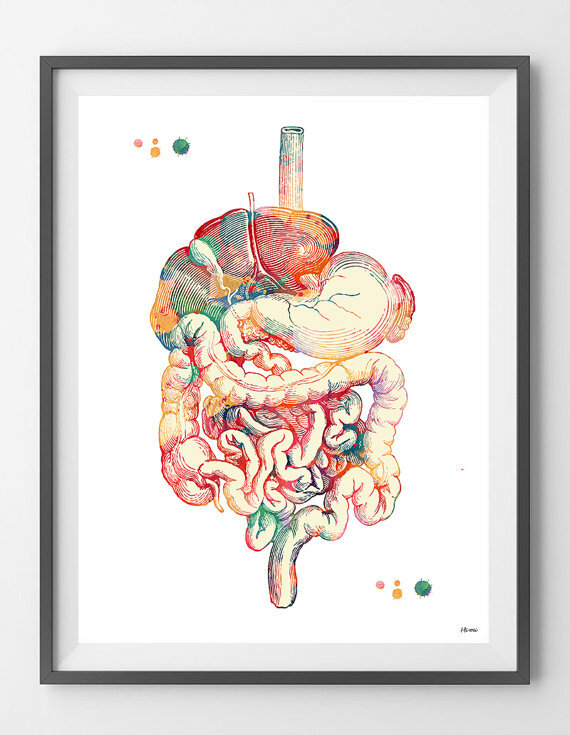 Microbes in our digestive tracts are able to exert influence over the appetite and eating behavior, understanding this ecosystem within the human gut is a vital part of addressing malnutrition. So, what affects our digestive system? Food! What we eat directly impacts the functioning of the digestive system which in turn, affects the functioning of the entire body! The right foods feed the beneficial or protective microbes in our gut and the wrong foods feed the pathogenic or opportunistic microbes, leading to what is known as intestinal dysbiosis and can even damage the lining of the walls of the intestines, leading to intestinal permeability dysfunction or leaky gut. When the integrity of the lining of the intestines is affected, our immunity is compromised because things that are meant to remain or get broken down in the digestive tract end up leaking through the walls and circulating in the blood stream as partially digested particles. The body registers these particles as foreign bodies and thus attacks these substances as if they were a virus, parasites and or pathogenic organism, triggering intolerances to those particular foods and resulting in inflammation within the digestive system. When this happens continuously, the inflammation becomes chronic and systemic and larger gaps begins to appear in the lining of the intestine. When this happens, the absorption of nutritious constituents from our foods diminishes. A reminder – we are only as healthy as what we can digest and absorb, not by what we eat. 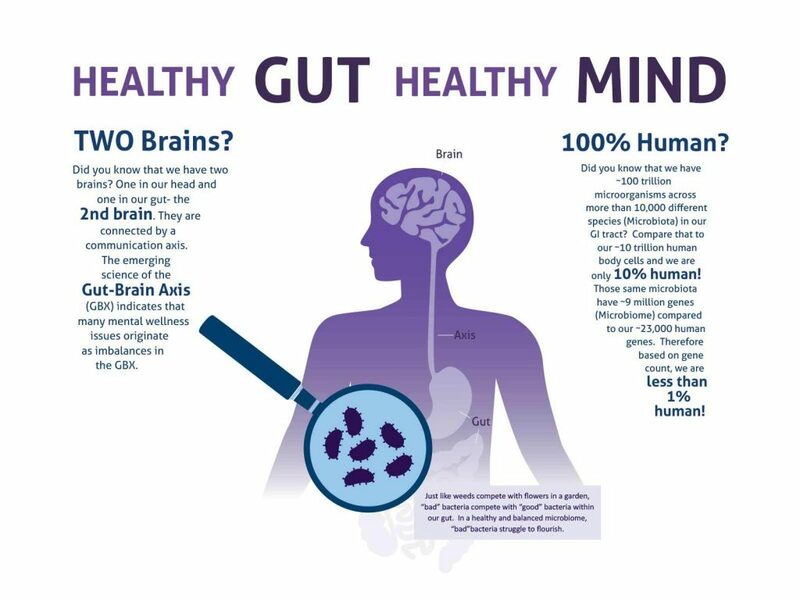 In short, optimal gut health is vital for optimal immune modulation and hormonal function, and affects how people and children learn, focus, retain and recall memories and cope with stress. A good gut is necessary for a sharp mind! Despite the known correlation between poor health, poverty and learning problems, children across all income brackets are eating refined, fast foods; meals high in fast-acting, sugary carbohydrates, the stuff that feeds pathogenic bacteria and damages the integrity of digestive system. Even where fresh produce or food gardens are available to source from, the quality of the soil is in question along with quality of the seeds used and despite our best efforts in this regard, we have to query whether children are indeed absorbing the necessary micronutrients from their food. If the schism between the haves and have nots can be narrowed through education, but the ability to learn is directly impacted by our ability to absorb nutrients then we are doing our children and young adults a huge disservice, nutritionally speaking and we are thwarting our attempts at economic freedom and poverty eradication. Born in Zimbabwe, to a rather nomadic family, I lived in Swaziland and Belgium and developed an ability to quickly adapt to new environments – as a result I’m a keen traveller with a curious nature. I graduated with a Bachelor of Commerce, Honours degree in Strategic Management from the University of Johannesburg with an undergrad in Human Movement Studies and after various stints in the corporate world, working in the sports marketing and private banking fields, I felt led to make a personal change. I began working full time for a dynamic, life-changing non-profit organization: The 4Change Foundation – an organization founded upon the fundamental principle: “we can all change our world, by giving others a chance to change theirs”. This year, 4Change celebrates its 10thAnniversary of impacting over 10 000 learners per annum since inception, through our schools programme. 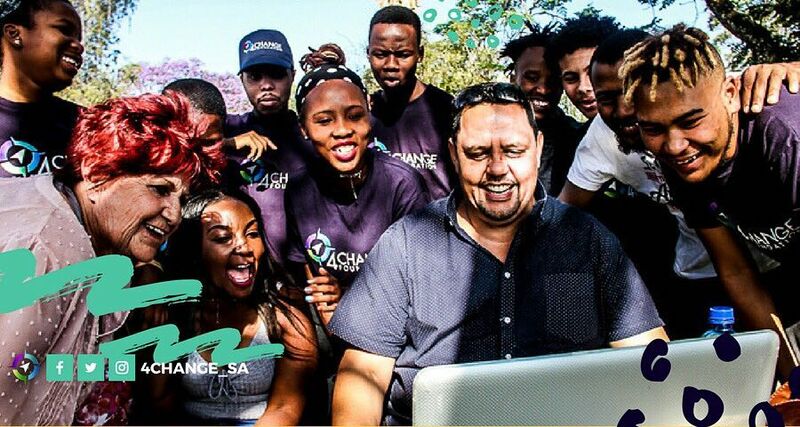 In addition, The 4Change Foundation has acquired a plot of land in the western area of Johannesburg, South Africa, to house their head office and a campus for a gap-year student programme. The land also allows for small scale farming to students and the community. Soon thereafter, armed with this new perspective on life, I ventured into media creating the 4Change Magazine, developing and presenting current affairs and lifestyle content through various media channels. In 2012, I completed a year-long, personal health transformation after a serious accident left me with exacerbated chronic health conditions and two fractured vertebrae. I have since narrowed my focus and continue to use media as an educational platform to promote active living and positive changes in lifestyle through my health show REAL Health which airs in South Africa and certain African countries. The ageing process begins the moment we are born; anti-aging medicine and protocols are therefore meant to be implemented as early as possible. Anti-aging regimens are so much more than aesthetics as we’ve come to understand it. If anti-aging measures are implemented as early as in early childhood development stages, we may begin to see drastic changes in incidences of chronic diseases such as cancer, diabetes, metabolic syndrome and cardiovascular disease and we may even begin to effectively prevent neuro-degenerative conditions such as Alzheimer’s, dementia and cognitive decline. The A4M FAAMFM is an interactive-educational experience where modules include hands-on clinical training and online lectures through webinars, while imparting the necessary knowledge and skills to effectively practice anti-aging, regenerative, and functional medicine. The health of the gut is at the core of functional and integrative medicineand research is showing an emergence in other gut-related epidemics that affect children and ultimately affect learning: problems with concentration and attention spans; Attention Deficit Disorder (with or without hyperactivity a.k.a ADD/ADHD, Dyspraxia(extreme clumsiness), Dyslexia, behavioral problems, allergies, asthma, Autism and even skin concerns such as eczema, dermatitis and psoriasis. Children with one condition, usually experience others or varying degrees of symptoms of the other conditions. Diagnosis: strategies for effective nutritional diagnostics and testing; you cannot supplement and treat what you cannot test. Treatment: the provision of superior quality, safe nutraceuticals and food-based micronutrients to be used in conjunction with existing healthy food programmes and food-garden initiatives. Coaching: community and parental health-coaching through trained-community change agents enabled and supported through technology. Referrals & Flagging: I believe that above process will support, streamline and reduce the burden on current public health programmes that are short-staffed and under resourced. Coaches are able to flag more serious conditions and refer these cases to government public-health centers, clinics and hospitals. The development of an affordable smart-food; a superfood shake that promotes good gut health and supports immunity. Designed to be age-group specific, to be consumed as a meal or meal-replacement, rich in prebiotics, probiotics and micronutrients and free from toxins and gut-destroying compounds. And it has to taste great! I have already started to work with Swiss researcher Dr. Peter Koeppel and his local South African team, on the formulation and distribution of meal replacement drinks & porridges that contain nutritional, supplemental nucleotides – the building blocks of DNA, that promote healthy gut functioning and immune modulation and wellbeing down to the cellular level. Through the A4M Fellowship and training in nutrition and functional medicine protocols I hope to refine my knowledge and understanding of how the integrative medicine approach impacts the functioning of the various organs and systems of the human body such as the endocrine (hormones), respiratory, cardiovascular, neurological and digestive systems and develop strategies for how it can be implemented locally and acquire a network of colleagues and mentors to consult with. I am also working with Nutrition Consulting Pharmacist Jane McKenzie who has developed her own range of nutrient dense food supplements and assists non-profit orgaisations to set up food gardens that produce chemical-free food. Jane is a consultant with The 4Change Foundation in our Eat4Change initiative. There is a central role for business in tackling malnutrition in Africa…as scaling up nutrition action delivers at least $16 in returns on investment for every $1 spent, nutrition-sensitive capital investments along the entire food value chain are likely to represent a tremendous purpose-driven investment opportunity. We will fundamentally integrate SDG 1 (poverty reduction) with SDG 2 (hunger & nutrition) by producing locally; Africa nourishes Africa – Fokko Wientjes, vice president of nutrition in emerging markets and public-private partnerships at Royal DSM. 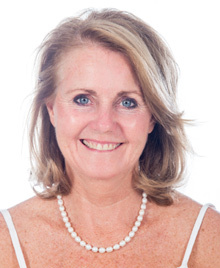 Jane McKenzie: A Nutrition Consulting Pharmacist, Jane has spent the last 30 years investigating disease, illness, symptoms, treatments, cures, nutrition and sustainable health. She has created a live example of a sustainable and regenerative home in the heart of Bryanston where she shares abundance and inspires visitors. Her home is, off-grid, renovated to allow an inside-outside and close-to-nature feel with glass windows and doors for maximum light and passive heating in winter, geometric spaces for health and healing such as the octagon lounge and workshop area. Green building principles were used in accordance with SANS recommendations. Space heating is also off grid and minimised by insulation to floors, windows, ceiling and roofing. 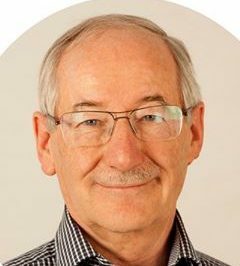 Dr Peter Koeppel: Dr Koeppel has a PhD in biochemistry and immunology. He was trained in biochemistry with a specific interest in clinical immunology at the Institute of Virology at the University of Zurich. He then worked as researcher in osteoarthritis and osteoporosis in a pharmaceutical company in Basel. 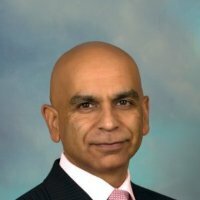 Since 1989 he has been involved in human nutrition for ProBio Ltd. After 15 years he resigned from ProBio Ltd and started his own company Nutrition Consulting that has exclusive distribution rights to the balanced nucleotides across the globe. Dr. Dhesan Moodley: is one of a few elite doctors globally who has obtained the Masters in Functional, Anti-aging and Integrative Medicine, the highest qualification in this field of medicine. He studied Functional Medicine through the prestigious USA medical institutions: The Morsani School of Medicine at the University of South Florida, A4M and Metabolic Medical Institute. He was a distinguished student who obtained his Masters with a grade point average (GPA) of 3.97 (out of 4.0) representing an average score of approximately 99%. Business Coach/Mentor: mentorship and assistance in the development of a socially-conscious yet profitable business model for a range of smart-food products for youth, as well as a funding model to raise or secure the necessary start-up capital. My work with the 4Change Foundation means that I have access to thousands of school pupils, however many of whom attend school in impoverished and marginalized areas. Technical Support: a connection to either a local manufacturing lab that adheres to international global GMP, good manufacturing practices for food-grade products or an international facility. Development of a youth-centric / user-friendly application and/or digital platform that facilitates data collection, basic diagnostics, health-tracking and education. There are eight modules required to complete the fellowship, each within a 90-day time-frame. I aim to enroll for my first module in January 2018, irrespective of the outcome of this TopTal Scholarship although obtaining the scholarship would mean I can complete the Fellowship in 24 months. I plan to develop the first samples of the smart-food meal replacement shakes after completion of modules 1-5 (endocrinology, gastroenterology, nutrition, mitochondrial function, autoimmune diseases) as these are minimum requirements within the Fellowship. To put it frankly, functional medicine and gut repair have changed my life. My last severe eczema flare-up in 2014 left me severely depressed, despondent and desperate to find practitioners that would treat me as an holistic person and not just a patient with unconnected symptoms and it is my absolute desire to help people experience this type of health as opposed disease management. I remain positive that the Toptal selection panel will acknowledge this aspiration through the awarding of a scholarship to further my studies so that I can continue to make a change in the lives of African people. Rendall-Mkos, K., Wenhold, F. and Sibanda, N. (2013). South Africa’s National School Nutrition Programme (NSNP): case study | Eldis. [online] Eldis.org. Available at: https://www.eldis.org/document/A68505 [Accessed 20 Sep. 2018]. Zegans ME, Van Gelder RN. 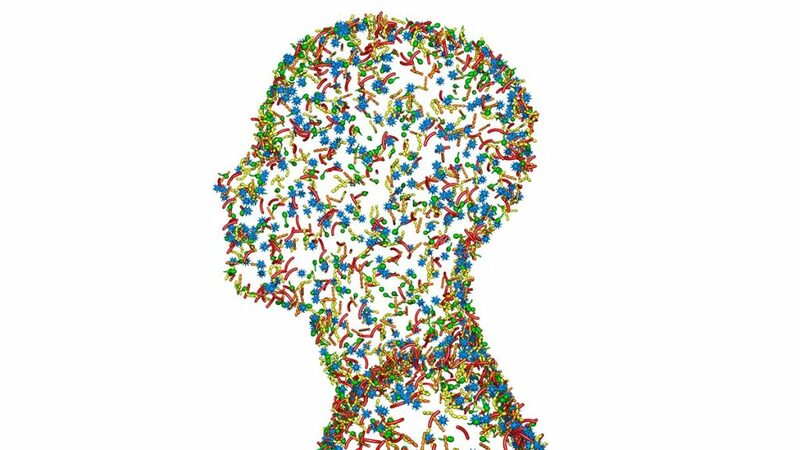 Considerations in Understanding the Ocular Surface Microbiome. American journal of ophthalmology. 2014;158(3):420-422. doi:10.1016/j.ajo.2014.06.014. Fleisch, B. (2018). Primary Education in Crisis: Why South African Schoolchildren Underachieve in Reading and Mathematics. Juta and Company Ltd, pp 31-32.